The Waxibag™ is perfect to hold your lunch; whether it’s a sandwich, a wrap, cheese and crackers, fruit, nuts, banana bread….and is also great for storing freshly picked herbs, a bunch of grapes, or, as we did this summer, fresh picked beans and snow peas from the home kitchen garden. 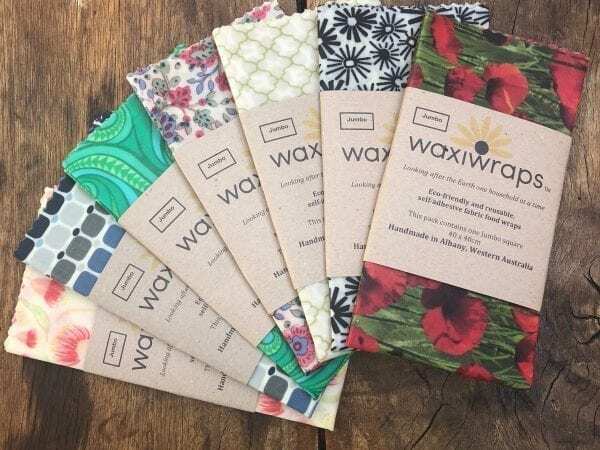 20 x 20cm square, easy to clean (simply rinse and turn upside down to dry; or if soap is required, add a dash of dishwashing detergent to cold water in the kitchen sink, and wash, rinse, then turn upside down to dry – simple!). 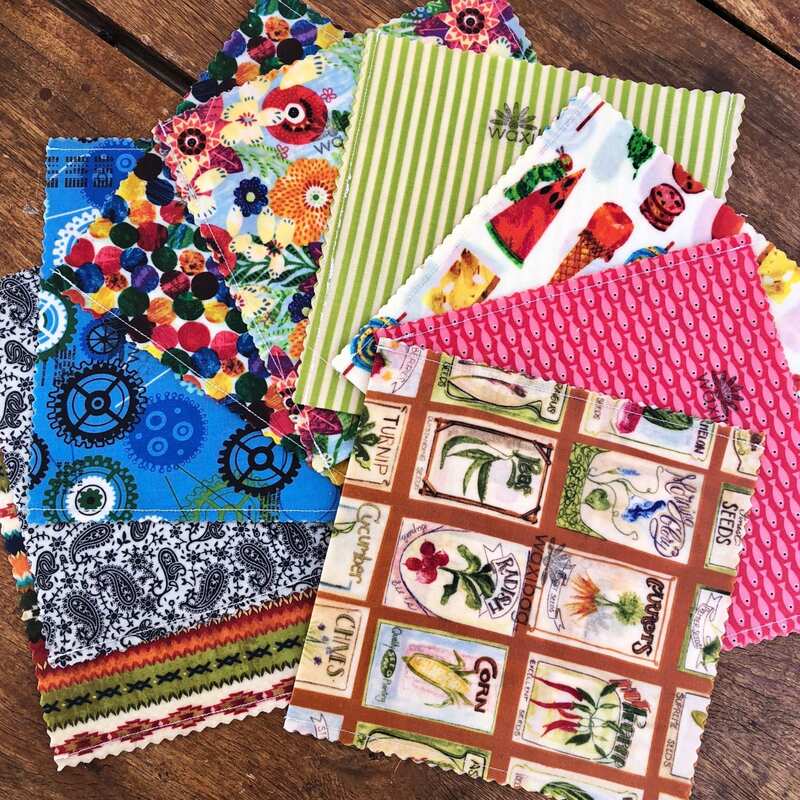 Choose from nine different designs, SEE IMAGE IN THE GALLERY FOR OUR LATEST DESIGNS. 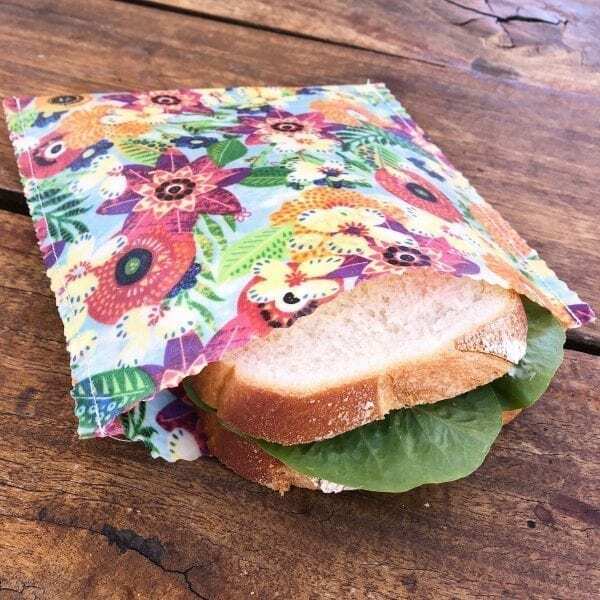 It’s our joy to bring you a creative range of food wrapping products to help you reduce your use of single use plastic. 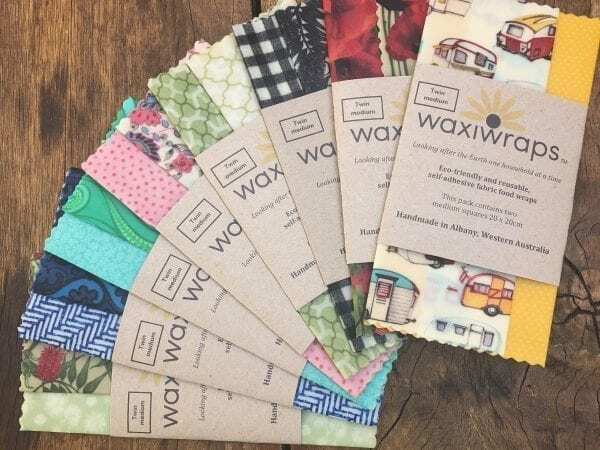 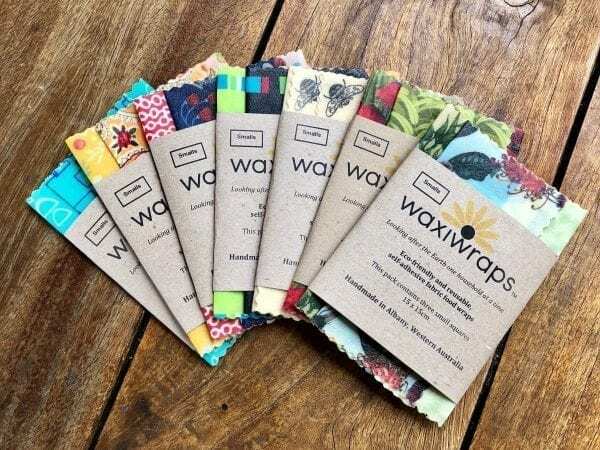 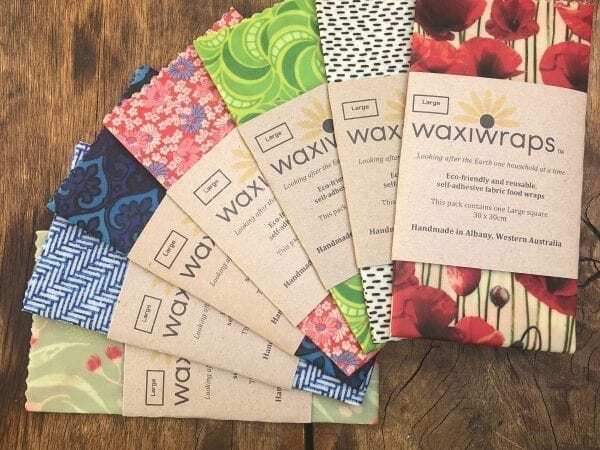 Waxiwraps….looking after the earth, one household at a time.